It’s bound to happen. With all of the money, fame, and access comes along with a hit television show, so too does temptation and danger. Oftentimes, actors cannot resist the allure of easy drugs and flowing alcohol. Unfortunately for some stars, their addictions even affected the production of their shows. How does the network choose to handle the situation when an actors has a drug problem? It depends. They might consider how many times the actor been in trouble, whether their drug addiction negatively affects their work, and whether they are ready to go to rehab. Often, they've got to let the actors go in order to save production costs and save the actor's life. For the on-screen characters, that means big changes. Here are some actors whose addictions affected storylines. The show must go on. Unless that show is Grace Under Fire. The sitcom was a big hit in the 1990s, but then its star, Brett Butler, totally stopped being able to do her job because of a heavy Vicodin addiction. ABC didn’t think they could go on without her, so they pulled the plug on the show altogether. What happens when one of the main stars of a mega hit show thinks he has tiger blood? Charlie Sheen had a great gig on Two and a Half Man. Unfortunately, a combination of drugs and attitude got him fired. Can a show go on without its headlining star? It sure can, just hire Ashton Kutcher. Check out these other actors whose addiction issues became storylines. Some were able to overcome their battle, while others unfortunately, were never able to recover. Cory Monteith, who played Finn Hudson on the Fox hit musical drama Glee, had to take a leave of absence from the show at the end of Season 4 in order to enter rehab. The final two episodes of the season were shot without the lovable character. The show's producers were extremely supportive of Monteith's decision to enter rehab. They released a statement, "Cory is a beloved member of the Glee family and we fully support his decision to seek treatment. Everyone at the show wishes him well and looks forward to his return." Unfortunately, Monteith lost his battle to drug addiction in 2013, before the start of Season 5. 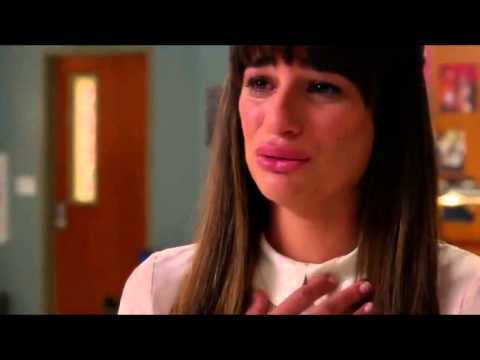 The producers decided to kill off his character but never mentioned how Finn died. Finn's stepbrother Kurt said at the beginning of the third episode of Season 5, "Everyone wants to talk about how he died, but who cares? It's one moment in his whole life." Charlie Sheen was the highest paid actor on television, but that wasn't enough to keep him happy and sober on the set of the hit show Two and a Half Men. Sheen's behavior grew erratic. (You may remember that period of time as his "winning" days.) Either because of his drug and alcohol abuse, or perhaps just because he had too much tiger blood, Sheen entered rehab in 2011. Production of the show was halted, but even when Sheen returned, he badmouthed the show's producer Chuck Lorrie so much that it they fired him. Two and Half Men hired Ashton Kutcher to replace him, and Sheen's character died by getting hit by a train while traveling in Paris. It's easy to forget what a total mess Robert Downey Jr. was for so many years before he finally cleaned up his act and became Iron Man. Downey was fired from the Fox show Ally McBeal following a drug-related arrest in 2001. The show's creator David E. Kelley had already written the Season 4 penultimate episode which had Downey's character Larry propose to Ally. After Downey's termination, Kelley had to rewrite the episode. Instead of a marriage proposal, Larry ends the relationship. Gary Dourdan, from the original cast of the first CSI, was fired from the show after multiple legal incidents. In 2001, he was arrested after crashing his car and charged with drug possession. After that, he was arrested multiple times for drug-related matters. Then in 2008, he was arrested for possessing heroin, cocaine, Ecstasy, and prescription pills. It was the last arrest and a contract dispute that finally led to his dismissal from CSI. His character, Warrick Brown, was killed off the show in 2008 by way of a gunshot to the neck. Dourdan had appeared on the popular forensic show for eight seasons.